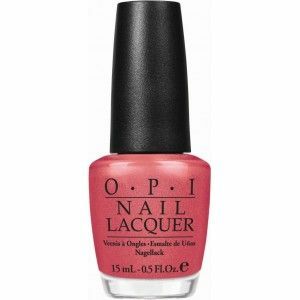 OPI Nail Polish, My Address Is Hollywood, NLT31, .50 fl. oz. Vivid rose-toned pink with subtle golden and pink micro-shimmer.